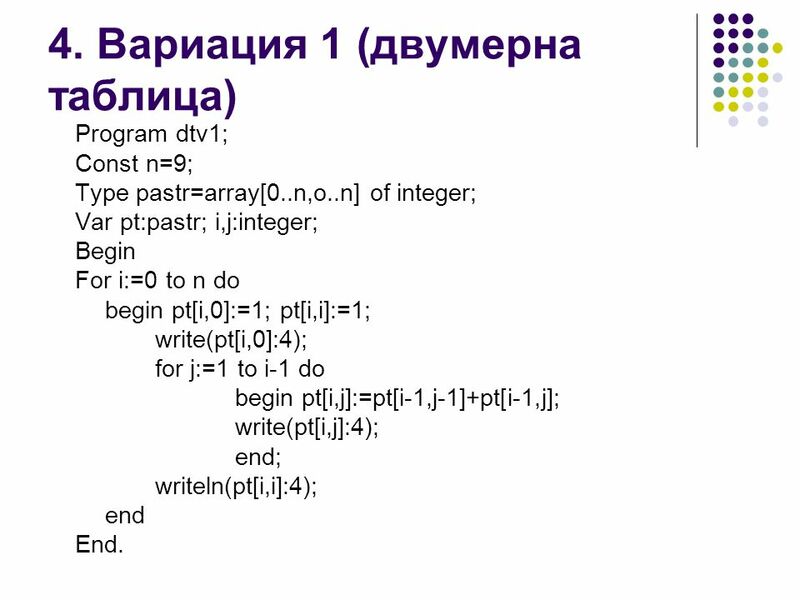 Program dtv1; Const n=9; Type pastr=array[0..n,o..n] of integer; Var pt:pastr; i,j:integer; Begin For i:=0 to n do begin pt[i,0]:=1; pt[i,i]:=1; write(pt[i,0]:4); for j:=1 to i-1 do begin pt[i,j]:=pt[i-1,j-1]+pt[i-1,j]; write(pt[i,j]:4); end; writeln(pt[i,i]:4); end End. 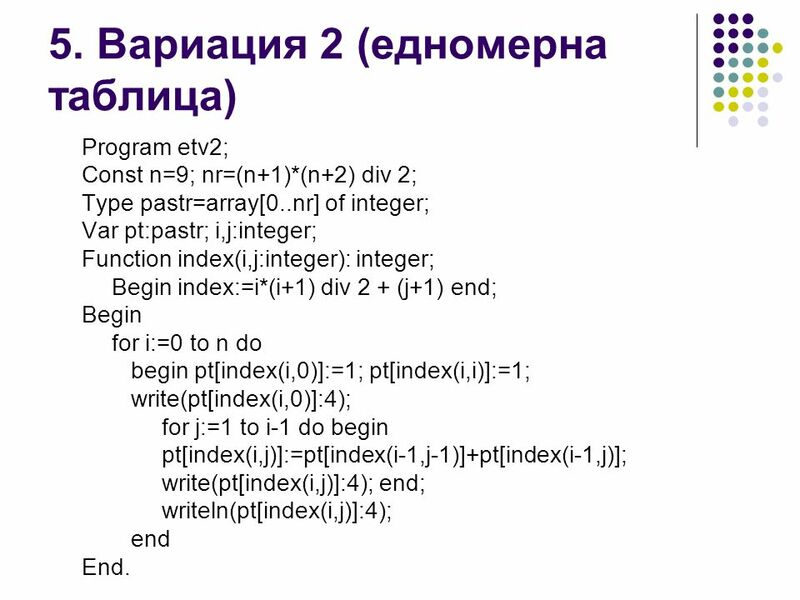 Program etv2; Const n=9; nr=(n+1)*(n+2) div 2; Type pastr=array[0..nr] of integer; Var pt:pastr; i,j:integer; Function index(i,j:integer): integer; Begin index:=i*(i+1) div 2 + (j+1) end; Begin for i:=0 to n do begin pt[index(i,0)]:=1; pt[index(i,i)]:=1; write(pt[index(i,0)]:4); for j:=1 to i-1 do begin pt[index(i,j)]:=pt[index(i-1,j-1)]+pt[index(i-1,j)]; write(pt[index(i,j)]:4); end; writeln(pt[index(i,j)]:4); end End. 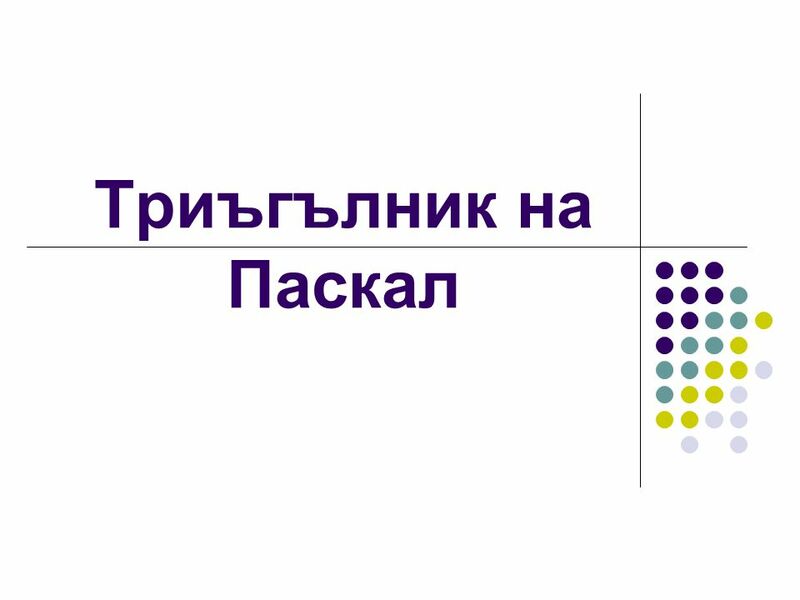 Download ppt "Триъгълник на Паскал." A Short Review Arrays, Pointers and Structures. What is an Array? An array is a collection of variables of the same type and placed in memory contiguously. Etter/Ingber Arrays and Matrices. 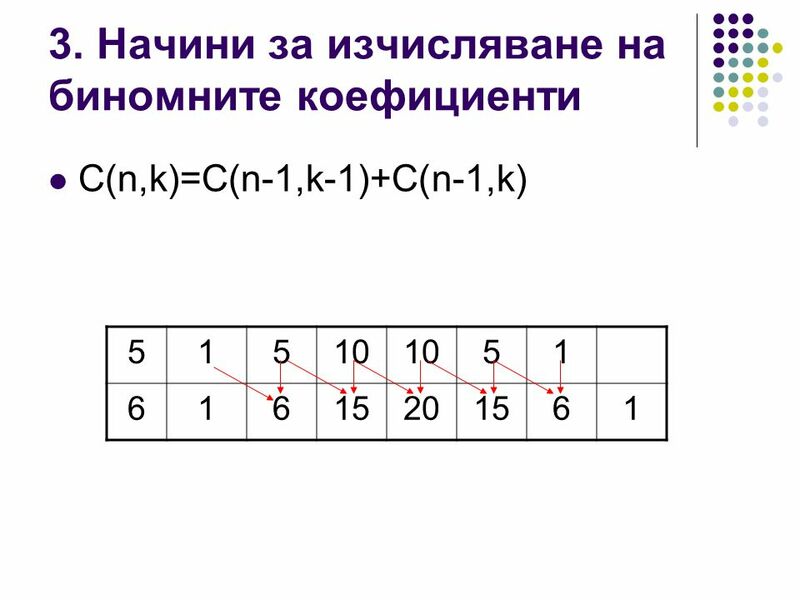 Etter/Ingber One-Dimensional Arrays 4 An array is an indexed data structure 4 All variables stored in an array are of. Constant Velocity The position increases by 2 meters every second. The position decreases by 2 meters every second. 2 pt 3 pt 4 pt 5pt 1 pt 2 pt 3 pt 4 pt 5 pt 1 pt 2pt 3 pt 4pt 5 pt 1pt 2pt 3 pt 4 pt 5 pt 1 pt 2 pt 3 pt 4pt 5 pt 1pt Integer Addition Integer Subtraction. 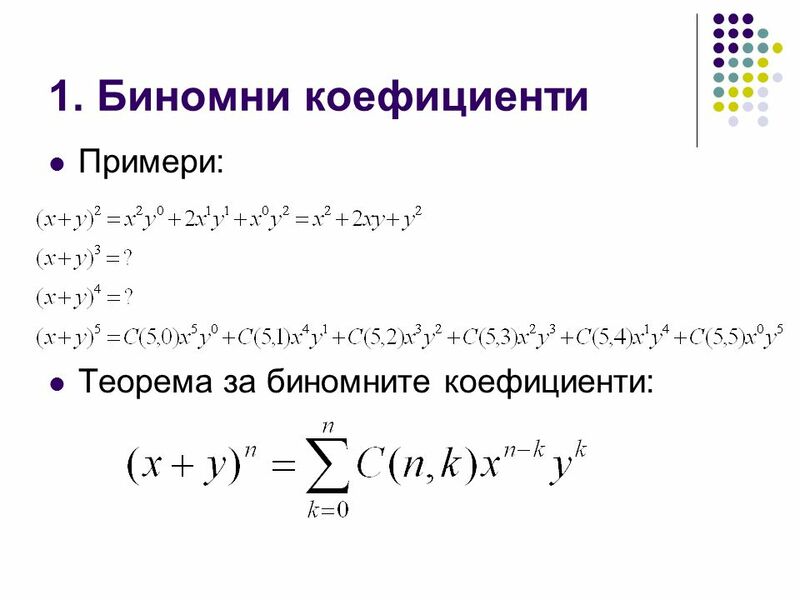 CS3012: Formal Languages and Compilers Static Analysis the last of the analysis phases of compilation type checking - is an operator applied to an incompatible. Introdução a Programação COM 100 Aula 08 Procedimentos. CS 141 Computer Programming 1 1 Arrays. Outline  Introduction  Arrays  Declaring Arrays  Examples Using Arrays  Sorting Arrays  Multiple-Subscripted. Shuffle an Array Shuffle a deck of cards. n In i th iteration, choose a random element from remainder of deck and put at index i. – choose random integer. 1. Penulisan array yang benar adalah : double myList; myList = new double;  Array with myList has variable dimension 10  Index begin from 0 till. Chapter 2.9 Sorting Arrays. Sort Algorithms A set of records is given Each record is identified by a certain key One wants to sort the records according. Looping while … do …. Condition Process 2 Process 1 Y Repeated Loop. An Introduction to Hashing. By: Sara Kennedy Presented: November 1, 2002.